Wherever their training and travels took them, these Georgia natives heeded the call to come back and give back. 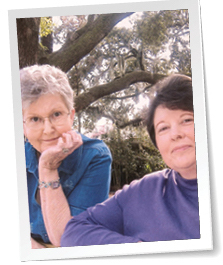 Their mission, like Winship's: lessen the burden of cancer in Georgia. Those are words that Bradley Carthon inevitably asks each patient he treats. To Carthon, it's a question that invites connection. In his work, connection matters. A sense of connection is one reason he came to Winship. A Georgia native, Carthon grew up in Fort Valley, a community of about 10,000 south of Macon. His mother taught at a small college; his father worked for the railroad. Carthon would be the first in his family to pursue medicine—something he felt drawn to by the age of 12. Growing up, he'd already begun to notice disparities in health care, especially for minorities. Although he was accepted to Harvard as a pre-med undergraduate, Carthon chose the smaller, supportive environment at Hampton University, one of the nation's oldest Historically Black Colleges and Universities. 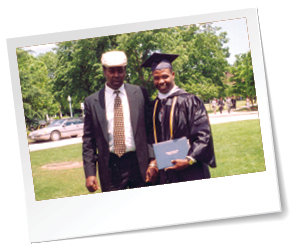 A scholarship from Norfolk Southern Railway, where his dad worked, helped pave the way for him. When he was 19, his mother was diagnosed with gastric cancer. A surgeon flatly announced that they'd found a large tumor with lymph node involvement and that his mother likely had six months to live. "I realized the process and conversation could have been done better. I felt I could help others in times like that," Carthon says. Her death left him with "an abundance of questions, in some cases, unanswerable." Increasingly, his academic and research focus pivoted toward cancer. "I had an interest in helping people who may not have all the resources that are available," he says. "In my own community, I saw people pass away from cancer or have to make choices between paying for the basics of living and cancer treatment." When Jocelyn Spragg, a Harvard professor who ran a program in medical research for under-represented students, invited him to a summer honors program, he was sold. Carthon was later accepted into the school's MD/PhD program. Between research, residency, and fellowships, he would spend the next 12 years in Boston. All the while, Georgia beckoned—a call to serve the needs of the people and communities he knew so well. After a fellowship at the University of Texas MD Anderson Cancer Center in Houston, he joined the genitourinary oncology team at Winship, working with patients with prostate, bladder, testicular, and renal cancers. "I put some thought into how I relay the message," he explains. "In Boston, people just wouldn't get certain analogies. In the South, I can say, 'This thing is aggressive. It's growing rapidly like kudzu, we need to do something,' and that message is understood. We find many creative ways to get the point across, no matter the patient." Knowing that prostate cancer has a higher-than-average rate of occurrence within the African-American community, Carthon goes where he is needed, speaking about prevention, treatment, and lifestyle issues in local churches and church conventions. He's helped mentor local high school students and attended career days at elementary schools. To Carthon, those are exactly the kind of connections that matter. "For me, cancer poses a challenge that simply isn't static—there is always something higher to shoot for." 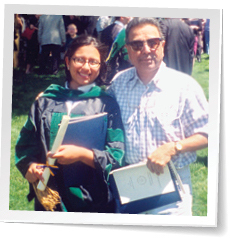 For many years, Ragini Kudchadkar was convinced that she wanted to be a neurologist. She loved the basic science of it, the thrill of studying neural pathways, the intrigue of the human brain. As an Emory undergraduate majoring in neuroscience, she even had the chance to work in Yerkes National Primate Research Center studying Parkinson's disease. She debated pursuing an MD or a PhD or both. But ultimately, she felt pulled toward patient care. At the Emory School of Medicine, Kudchadkar went on to complete a rotation in neurology, but surprisingly found herself drawn to oncology. "When we go through our rotations, many of us decide where we want to fit in," she recalls. "I thought I'd rather be with the people who need me the most." As her interest turned to advanced melanoma, she recalls friends trying to talk her out of it. Even 10 years ago, there were few medical options once melanoma had spread. But Kudchadkar knew where she belonged. "In caring for people, it's nice to feel that you are really making a difference in their lives," she explains. "Even when the outcome isn't always good, you have the opportunity to make a positive impact and be part of someone's life at a critical time, contributing to make a hard situation better." 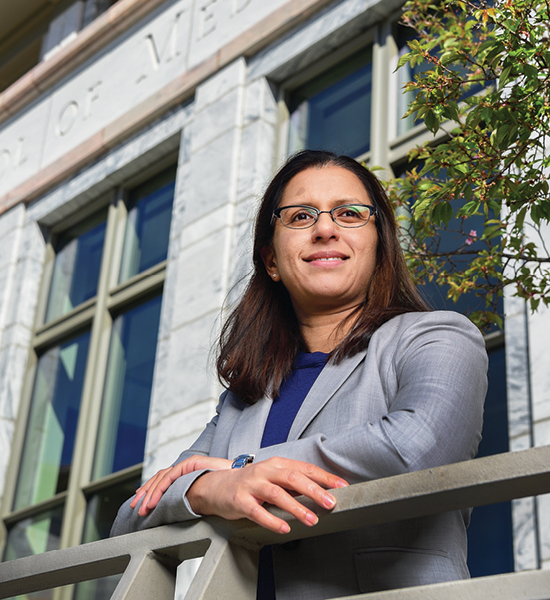 After completing her internal medicine residency at Emory in 2006, Kudchadkar went on to hematology and medical oncology training at the University of Colorado. Today, she specializes in the treatment of metastatic melanoma, basal cell carcinoma, and other cutaneous (skin) malignancies and she co-leads Winship's melanoma team. As a member of Winship's Discovery and Developmental Therapeutics Research Program, she's also been involved in testing some of the most cutting-edge immunotherapy drugs currently approved for melanoma. "There are now so many more options," she says. "People are living longer and longer." Growing up in Columbus, Georgia, Kudchadkar once dreamed of traveling far from home to study and practice medicine. At the same time, she learned firsthand about the commitment of being anchored to your work—her father, a radiologist, worked at Martin Army Community Hospital at Fort Benning for more than 30 years. Ultimately, she chose to be close to home and family. Today, she counts Winship as part of that family. Those lines fully blended last year, when her father was treated for colon cancer at Winship. "You don't always realize that the people you work with are also a close-knit family," she says. "He's now doing well. It felt good to have family caring for my family." The whiteboard in Mylin Torres' office is covered with a sprawling jumble of color-coded notations, all pressing research projects and papers that both intrigue and await her. Within the dense tangle of titles and lists, four words stand out: "You can do it..."
"Just to make sure I stay on track," she smiles, nodding at her notes. In truth, there is much to keep track of. 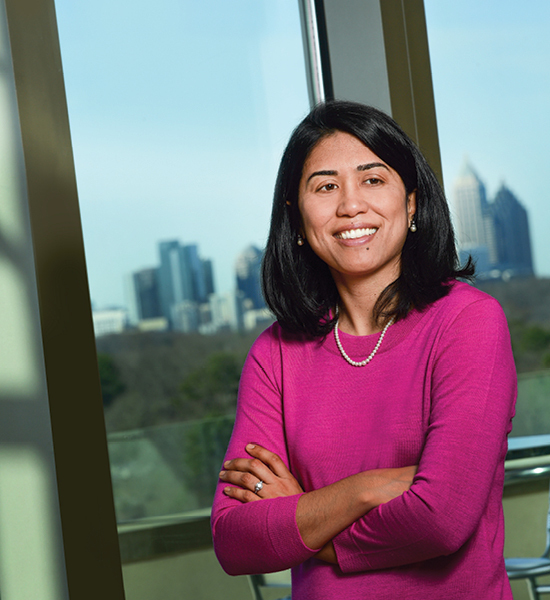 As director of the Glenn Family Breast Center at Winship, Torres is invested in multiple facets of cancer care: as a radiation oncologist, a member of Winship's Cancer Prevention and Control research program, and a program administrator. Through her work with the breast center, she helps guide treatment for women experiencing the full spectrum of cancer diagnoses, from very early stages to advanced, metastatic conditions. She offers a special focus on quality of life for survivors, particularly in managing side effects that can linger long after a woman has finished treatment. "I enjoy talking to my patients, seeing them in long-term follow-up, finding them cancer-free," she explains. "That's my number one goal, helping them move beyond their cancer journey." Torres first became aware of cancer—and how the impact of treatment can ripple outward into the lives of others—early in life. In sixth grade, Torres saw her best friend lose her mother to cancer. "I think it was the first time I'd ever felt the impact of the death of someone close to me," she said. "I do think it helped me understand the other side of care, how it affects those left behind." She grew up in Savannah, Georgia, and her parents were leaders in a closeknit Filipino-American community that numbered about 100 families. Her father, Samuel Torres, is a urologist who recently retired after 43 years in practice. Her mother Erlinda, is a nurse, her aunt is a pediatrician. Giving back to the community was an unwritten credo. "Being a physician was an opportunity to make the lives of others better," she reflects. 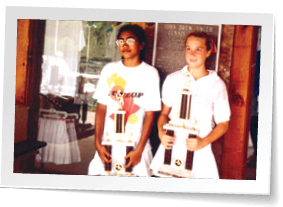 Torres, a talented athlete, found her own home on the tennis court and as a teenager rose to the highest level of the amateur tennis world, where she ranked number two nationally. Traveling to tennis competitions all around the country introduced her to worlds beyond her Savannah roots. "I had friends all over the country," she says. When it came to college, Torres aimed high—a bachelor's degree in biology from Harvard University, an MD from Stanford University, a radiation oncology residency at the University of Texas MD Anderson. As a student, Torres was drawn to the complexities of cancer. The exciting possibility of discovery fed both her curiosity and her desire to make a difference. "Cancer is often a confounding and life-changing diagnosis—and there is a humility that it brings to both the patient and the health care provider," she says. With a stellar academic resume, it's not hard to imagine that Torres could work just about anywhere she wanted. In fact, she is doing just that. "When you see so many suffering from cancer, you think, 'Where do I want to be, to make the most impact?' I wanted to take what I've learned from some of the best schools in the country and adapt it to our patient population," she says. "In the end, I knew I wanted to be close to family, and close to patients I could help." As unit director of Winship's largest infusion center (on the Clifton Road campus), Catherine Parker touches the lives of more than 100 oncology patients a day who report for treatments and participate in clinical trials, overseeing a dedicated staff of some 55 nursing professionals. Chemotherapy. Biotherapies. Immunotherapies. Hydration and supportive therapies. The infusion center is among Winship's busiest programs — a place of support and healing and also one of hope. 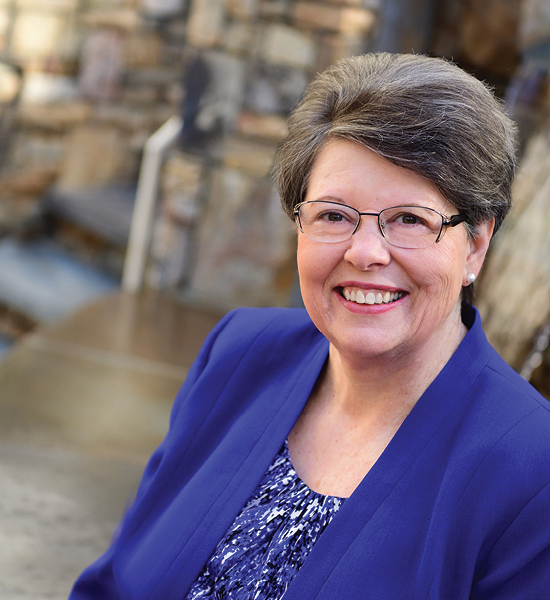 After nearly 38 years of oncology nursing, though her jobs and responsibilities have changed, Parker says her priorities have never wavered. "My focus is still about the patient, hoping to make things better for the nursing staff so they can deliver the best, most efficient care to the most important patients in the world — the strongest, bravest people I know," she says. Parker will tell you that she was born to do this work. And indeed, cancer emerged early in her life. Growing up in Lithonia, Georgia, Parker was eight years old when her mother tested positive for melanoma in her lymph nodes. After a resection, the melanoma recurred. "They basically told her there is no treatment and you probably won't live five years," Parker recalls. "This was roughly 1966—the word 'cancer' was a death sentence." It was a diagnosis her mother couldn't accept. "She was determined to fight it, because I was heading into my teenage years and she knew I was going to need a mother." Helping her became second nature, the seedbed for Parker's nursing career. If she came home from school to find her mother lying on the couch, she knew to spring into action, doing whatever was needed. In the end, her mother lived to be 71 and died in 2009 after a heart attack. She is commemorated with a paver in Winship's Vaughn-Jordan Healing Garden, thanks to donations from Parker's staff. Initially, Parker thought about becoming a medical assistant. But 20 years after earning an associate's degree from DeKalb College, she went back to school for a bachelor of science, and then a master's degree from Brenau University. Parker was 21 years old when she first came to work in the surgical oncology unit of Emory University Hospital. She loved her patients and would sometimes share her mother's success story to encourage them. Parker's exposure to outpatient treatment came about when her husband Alvin was diagnosed with rectal cancer. "He needed chemotherapy, radiation, surgery, and more chemo," she recalls. "I learned a lot by being with him through it all." This spring, 21 years later, he remains cancer-free. In 2006, Parker was asked to manage the busy infusion center on a temporary basis. A few years later, it became permanent. Though she jokingly compares her job to air-traffic controller, Parker strives to make a meaningful difference in the lives of both her patients and her staff of oncology nurses. "Cancer care is not a one-man show. The stakes are high. Here, you'll find nurses, physicians, pharmacists, nurse technicians, and researchers all in the same building. A drug we’re administering today may have been developed right upstairs." In this work, Parker knows that lives can change in a second. Seeing cancer touch people she loves, she understands the weight of the word. "The caring we give is about so much more than the drugs we administer," she says. "If these patients are not touching our hearts, we are in the wrong place." "I was raised in Norcross and attended Norcross High School, graduated from the University of Georgia with a BS in Genetics, and worked in the Emory Department of Biology as a research specialist before leaving to get my PhD at StonyBrook University in New York. New York was WAY too cold for me. I sought a postdoctoral position back in Atlanta to be close to family and friends. I completed my postdoc in the Department of Cell Biology at Emory and during that time met my wife, who is a local entrepreneur. Neither of us wanted to leave Atlanta so when I received the opportunity to join the Winship faculty, I jumped at it! One of the best decisions I ever made." "I was born in Rome, my mother is from Summerville, my Dad from Lindale. I moved to North Carolina when I was young and went to high school there, and in Ireland. By living and traveling in other places, I have affirmed my deep appreciation and commitment to Georgia. My goal is to give back to the place and people that provided opportunity for my family and me." "I guess you can say I am a true Atlanta native. I was born in Decatur, raised in Grayson, went to high school in Southwest Dekalb, college at Oglethorpe and graduate school at Emory. Every step of the way I intended to move away, but my path kept bringing me back home." "I was born in Athens, raised in Perry and went to Perry High School. I attended Duke for undergraduate but came to Emory for medical school, my fellowship and residency. We have a very hopeful population here. The people we take care of believe we can make things better and you see that in their willingness to be in cancer trials, their willingness to pitch in and give back." 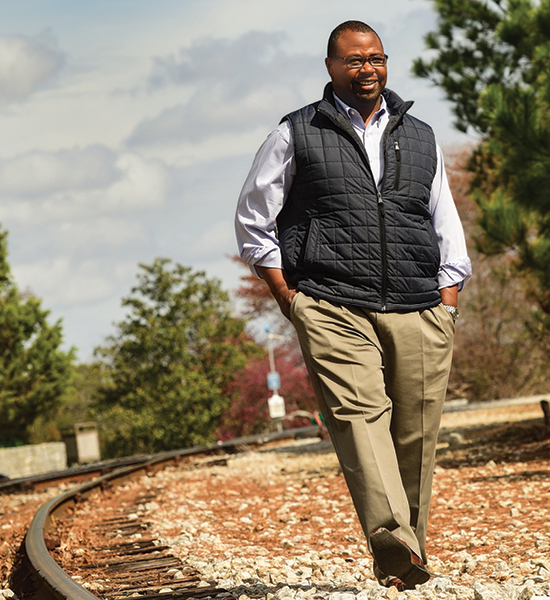 "I was born at Piedmont Hospital and grew up in Ansley Park and Druid Hills. My parents still live in the house they moved to when I started high school, so living near them now and having them for babysitting has been huge! Most importantly, it has been really gratifying to provide care and bring trials to the community I grew up in – it is amazing how many of our patients I am personally connected to, in one way or another." "I was born and raised in Atlanta and attended the Medical College of Georgia. I recently returned to Atlanta to join Winship as a leukemia researcher, and the Aflac Cancer and Blood Disorders Center as a pediatric oncologist. I feel privileged to be able to serve the community in which I grew up and raise my children close to family and old friends." "I have lived in Georgia my entire life. I studied engineering at Georgia Tech and my high school sweetheart went to Georgia State. We got married right after college. I decided to pursue an advanced degree incorporating more science with my math/stats background, so I chose the Epidemiology program at Rollins School of Public Health and started working on a breast cancer study with SEER my first week of school. I fell in love with this place and have been here ever since." Winship researcher and assistant professor in the Emory School of Nursing. "Except for a five-year stint in San Francisco, where I got my masters from UCSF and birthed my first child, I have lived in Georgia since the age of 10. I graduated from Perry High School in Perry, got my BS in Biology from the University of Georgia, and my BS and doctoral degree in Nursing from Emory. I have loved living in Atlanta and close to Emory for many years. It has been a great place to raise a family and watch the time fly by."